When crap hits the fan, you'll want to take every precaution to protect your home, your family, and your resources. But, how do you do this without using a lot of energy patrolling? 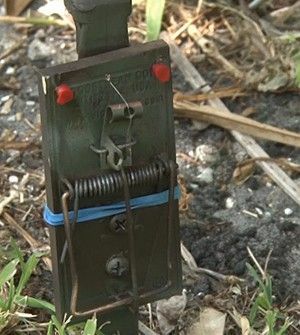 Using booby traps is a great way to secure your home from intruders, looters, bandits, and thieves. But, buying booby traps can be expensive, and some are even hazardous to your home, and family. However, there are some alternatives that are not only safer, but less expensive too. Here are some practical, DIY booby traps for your home defense to help you make your home more secure in a massive emergency situation. Pit traps are a great, less lethal approach to home defense. And, with a little elbow grease they cost next to nothing.The hardest part about digging a pit trap is deciding where to dig your hole. Choose a location that is on a route to your main building that is least defended by guns, or other traps. You'll want your hole to be deep enough that a grown man could not climb out without help. But, how does one conceal a pit trap? Simply purchase, or make a net that is just wide enough to stretch over the hole. Loosely stake it into the ground and cover it with leaves, dirt, and sticks to look like it matches the surrounding area. These are great ways to trap intruders without killing them. Once you've got them, you can loot 'em, shoot 'em, or send them off with a warning. Sudden, ultra bright light can be extremely disorienting for an intruder. Combine that with sudden loud noise and you'll have one messed up jerk. Simply rig motion detectors around your property hooked up to fairly simple circuits to bright lights and loud noise makers. That way, an intruder will trigger startling light, and sound and it'll tip you off that someone is on your property. These high tech traps are simple to rig up and really effected against looters. It sounds cliche but trip wires are among the simplest and most effective traps on the planet. Fishing line works great as it is difficult to see especially in low light. You can also purchase an actual trip wire from your local Army Navy Surplus store if you need something a little more durable. If you really want to rough up an intruder, lay out some flat rocks starting at the base of the trip wire for about seven feet forward. This will seriously hinder intruders from moving forward on your property. Attach low tech alarms like cans, or bells to your trip wire to alert you that someone is coming. You can also play with combining your trip wires with other traps such as pit traps for a difficult to avoid combo. You've seen them in the cartoons all your life, but snare traps are one serious traps for home defense. Set up is very simple. You'll need a rope, a hefty tree branch or weight, either hooks, or two pieces of wood you can carve into hooks. Follow the cartoons, bend your tree tie one end of your rope to a tree and the other to a hook. Stake your hook into the ground, and link the hooks together. Attach a noose (a slip know works fine) and you're ready to go. It's a really precarious set up, one bump and the whole trap goes off. Attach a bell to it to let you know you've caught one. This one is probably the easiest, and the nastiest trap on our list. All you need to to is get a bunch of boards and hammer in a bunch of nails so the nail heads are flush with the board. Lay them out on your property. The most effective use of these traps is to set a lot of them out in an area so that intruders are more likely to step on them. These traps are easy to conceal, and they certainly help people reconsider their life choices. Swinging weight traps are a sure fire way to totally incapacitate an intruder. Simply rig a sand back, or a weight (heavy rocks, or logs will work too) to a trip wire. Put the weight up in your tree and tie it to shorter rope. When it's all rigged properly, the weight will swing down when activated and hit your intruder in the head, neck, or chest. I don't envy the headache that awaits your intruder when they wake up. When you're using these DIY traps, make sure to use precautions for your safety, and the safety of your friends and family. When laying these traps out, make sure that you focus on areas that are more difficult for you to survey so your traps end up working for you. Keep in mind that these kinds of traps are less lethal, but accidents can happen. Since these traps are there to keep you and your family safe, it's a good idea to take your family out and educate them about the traps you set. Prepare for the worst, hope for the best, and never turn your back to the enemy. If you have any comments or questions, we'd like to hear from you. 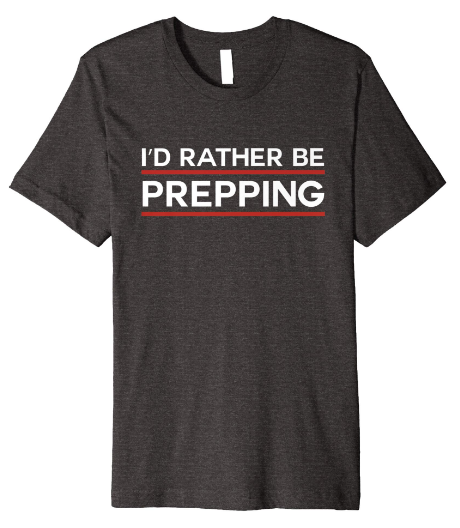 Post them below along with any other prepping advice you can share with us. Thank you! You would need a seriously strong tree to lift a grown man off the ground with a snare trap. I think that’s more for small animals. Some sort of pulley system with weights would probably work though.